Honestly, I thought the back half of my 20s were an indicator of how time flies, but Fortnite Season 7 arrives today with patch v7.00 and I’ve never felt closer to death. 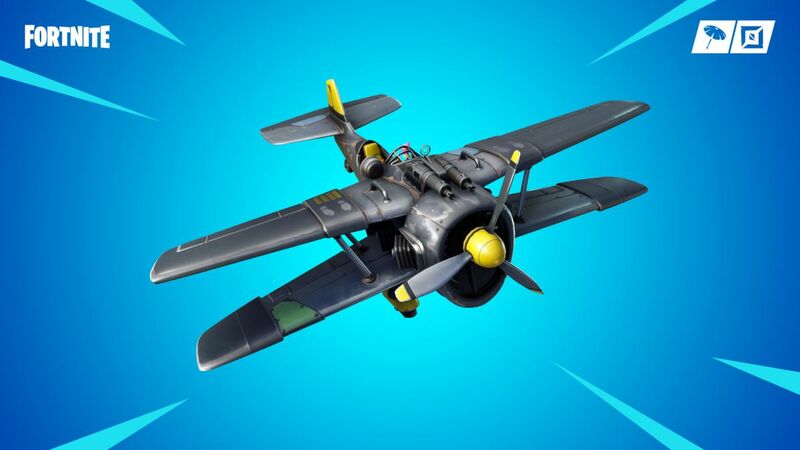 But here we are, with great changes to the game caused by the iceberg’s arrival, and new additions to the game like the Stormwing plane. Winter has arrived in Fortnite Season 7, bringing with it a new battle pass, map changes, an all-new Creative mode and tons more. See the neat festive trailer above for a taste of what to expect. Downtime is over, and Season 7 of Fortnite is here. Below you’ll find everything we know about it so far, including new cosmetic options, icy new parts of the map, Battle Pass details and more. The iceberg has crashed into the map, and we can finally see the extensive changes to Fortnite’s map since downtime in the game is over. Look above, courtesy of lucas7yoshi_ on Twitter. The Iceberg biome brings with it Happy Hamlet, Polar Peak, Frosty Flights and other new points of interest. You can slide around on the icy surfaces, too. As usual, the Battle Pass costs 950 V-Bucks, about $10/£8. There’s 100 new levels in Season 7’s Battle Pass, and over 100 new rewards, which you can get a look at in the trailer above. New this time are Wraps, as pictured below. These allow you to customise the look of vehicles, shotguns, rifles and more by equipping them in your locker. One of the headline additions, and showcased in both trailers, is the X-4 Stormwing plane. This allows one player to pilot and four others to come along as passengers, and it features a mounted machine gun that can overheat. Double tapping the roll button will do a barrel roll. Expect air combat to be a big part of Fortnite Season 7. Players can now use weapons and items while using balloons, too. Ziplines have been added to the game. They’re found near the Iceberg and Expedition outposts, and allow a handy and fun new way of getting around. You can still use your weapons at the same time. This could end up being a huge deal for Fortnite in the long run. Fortnite Creative lets players build modes and scenes to create minigames and film videos with customization tools. Battle Pass owners get a week of advanced access but Epic warns it will be rough to begin with. Everyone else gets it on 13 December. You’ll have four islands to customise total, and you can set the parameters on whether other visiting players can edit your islands. Who knows what you’ll be able to build in collaboration? Below, read about the journey to Season 7’s reveal as we covered it. Finally, we have a date. The season will not be extended like Season 5, confirmed by a tweet containing the first Fortnite Season 6 is currently scheduled to end once this next week of challenges is done with, which puts a Season 7 release at December 6. Something that isn’t related to Season 7 is getting revealed at The Game Awards tonight, too. Curious. What new tools and theme changes will we see in Fortnite Season 7? Finally, that bunker beneath Wailing Woods is being put to good use. It opened up at the start of Season 6, revealing a series of tunnels and laboratory equipment all set up to study a rift. But after the v6.30 update, some new tech showed up in the bunker that appears to harness the power of the rifts to create controlled portals. I’d wager that portals will soon, either with Season 7 or a few weeks before, become a deployable ‘trap’ item. Fascinating meta implications aside, while scrounging about for clues, players have reported that the silhouette of a castle is now visible on the glassy surface of rifts. 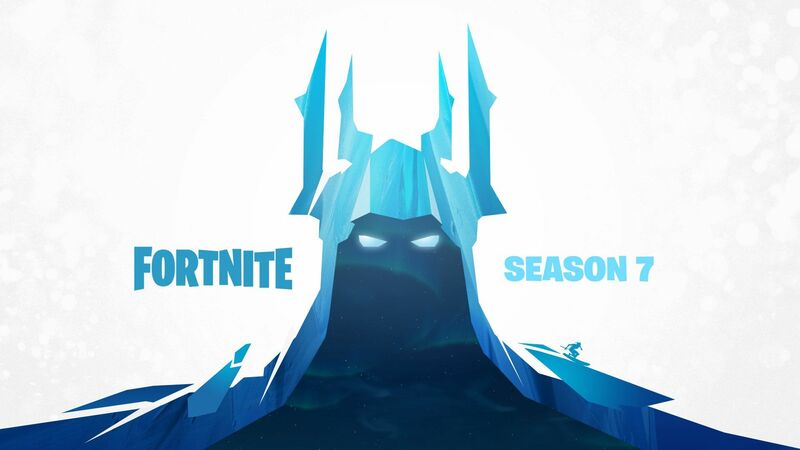 Sure, it could be a distortion of the space behind the rift and we might be tricking ourselves by seeing what we think we should be seeing, but a castle would make sense. A battle pass spray, which are often used to tease upcoming skins or map changes, depicts a castle. And dataminers dug up some wizard skins in the v6.30 update, characters right at home in a medieval fantasy setting. It’s possible that they’re just skins and nothing more, but writing and reading this whole thing sort of implies we’re wearing tinfoil hats and scribbling coded messages on the walls, yeah? What map changes are coming to Fortnite Season 7? The evidence is piling up and what once felt like a mad theory is looking more credible every day: Some chunk of the Fortnite map is getting a snowy revamp comparable to the desert addition that arrived this summer. *Gestures towards messy conspiracy corkboard* Let me tell you why. 1. There’s a massive blizzard surrounding an iceberg with a castle poking out of the top heading towards the island. 2. Players can see their breath on the starting island, which is closest to the snow storm. 3. Look at all this snow stuff. 4. The viking village could be the epicenter. The “worlds collide” tagline of Season 5 extends beyond the desert area. The unnamed viking village in the southwest corner of the map arrived with some snow, both on the ground and falling from the sky. Along with all the other chilly teasers, this could’ve been where Epic planned on changing the map from the start. World’s collide wasn’t necessarily a season theme, but an ongoing one that set the precedent for future updates. Plus, it sort of makes sense with the anything-goes nature of Fortnite cosmetics. 5. Epic employees need to take a damn vacation. All that cube business took plenty of work, a string of substantial updates and happenings pulled taut over a multi-season schedule. 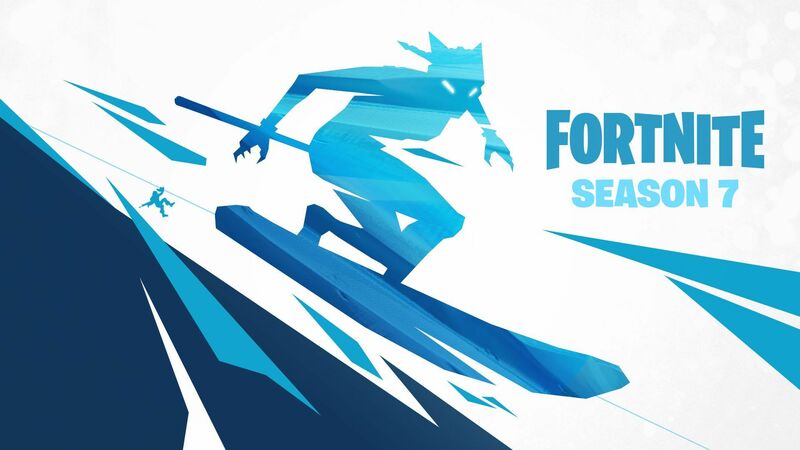 For Season 7, I hope the team just releases a big update and calls it for a month or so. Go home, Epic. You’ve done enough. The kids will be alright. What new skins are coming with Fortnite Season 7? Fortnitenews.com has spotted what appears to be new Fortnite Season 7 skins on the iOS store. They appear to be a ninja cat woman, a hooded warrior with dripping eyes and… man with goggles. Pretty cool though. You’ll note that the left and middle characters look very similar to teaser images Epic has released before. FN also note the tiny eyeball at the top right of the image, which does indeed appear to be a corner of the Onesie skin that dataminers have spotted in the game files.